PRESQUE ISLE, Maine — With the increased attention on recent flight cancellations due to winter weather, Presque Isle International Airport director Scott Wardwell has presented new data to the city council that shows only a slight difference between the rate of cancelled flights for Presque Isle compared to jet flights that United Airlines provides to Newark, New Jersey for airports in Bangor and Portland. Due to the record snowfall in the month of January and recent rainfall, the Presque Isle International Airport has struggled to maintain its normal flight schedule and clear the runway amidst the harsh weather. Multiple flights were cancelled on the week of Jan. 20 due to a snowstorm that produced one to two feet of snow throughout northern Maine. On Thursday, Jan. 24, a plane that had already been delayed a day coming into Presque Isle turned around and returned to Newark for the second time after trying to land during rainy and foggy weather. The recurring cancellations have been causing much frustration for passengers and for the crews working to maintain the runway daily. Previously Wardwell noted that the airport had used $6,000 worth of potassium acetate deicing fluid trying unsuccessfully to clear the runway on the afternoon of Jan. 24. But he also noted that there is a silver lining in terms of data showing Presque Isle’s rate of cancelled flights compared to larger international airports in Bangor and Portland, who also have contracts with United Airlines to provide jet flights to Newark Liberty International Airport. According to data that he shared with councilors during their Feb. 6 meeting, the monthly cancellation rate for flights to and from Newark in July 2018 — the first month of Presque Isle’s two-year contract with United — was 6.7 percent while Bangor International Airport saw a rate of 7.2 percent and Portland International Jetport had a rate of 7.6 percent. The most drastic difference in cancellation rates throughout the months of July to December 2018 for all three airports occurred in August 2018 where Presque Isle saw a rate of 4.6 percent, Bangor had 8.9 percent and Portland had 9.2 percent. While Presque Isle’s cancellation rate was lower than Bangor and Portland during the summer and early fall months, the harsher winter weather has caused an increase in their rate over the two downstate cities. Though Wardwell’s comparison data of monthly cancellation rates only takes into account Bangor and Portland airports for the later half of 2018, he noted that this year’s January rate of cancelled flights in Presque Isle has not been too different from past years. Wardwell pointed out that although most of the recent concerns from passengers have been about flight cancellations, the majority of those issues have been brought up by people flying into Presque Isle from Newark as opposed to those leaving Presque Isle. 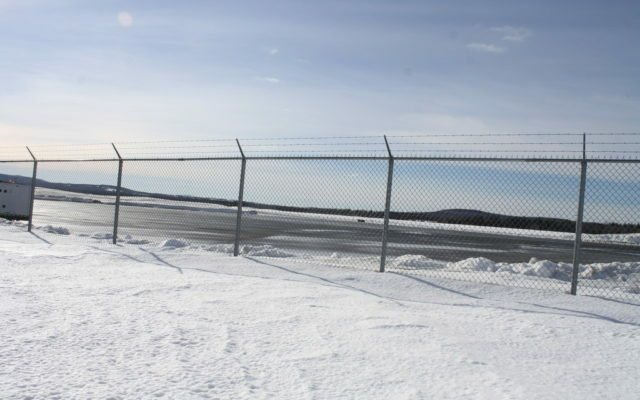 Many of those passengers flying into northern Maine might not be as accustomed to the winter weather as some longtime residents. Another recurring concern from passengers has been the late-night flights coming from Newark to Presque Isle, which typically arrive at the Presque Isle airport around midnight. To address the issue, Wardwell has been speaking with United about possibly using an alternative hub airport that would allow for an earlier departure to Presque Isle for evening flights, likely between 9:30 and 10:30 p.m. Thus far conversations with Newark about possibly changing the evening departure times from that airport have not led to significant changes, he said. “We haven’t had luck so far because Newark keeps saying that they need to have aircraft, flight crews and gate space at their airport between 7:30 and 8:30,” Wardwell said. United Airlines has been providing jet flights from Presque Isle to Newark and from Newark to Presque Isle since July 2018 after replacing Pen Air’s service to Boston under the federal Essential Air Service Program that subsidizes air travel in rural areas. The change was met with concern from many area residents who preferred to keep the direct flights to Boston in order to access specialty medical services in the city. Wardwell told the councilors that using a Boston airport as a second airport for evening flights to Presque Isle would not be possible because United has no regional jets that fly in and out of Boston. Part of the reason Wardwell and city councilors supported United’s bid as opposed to other air carriers was a desire to connect the Presque Isle airport to a larger hub and gain jet service. The Presque Isle City Council thanked Wardwell for sharing the updated data and information. Council chair Mike Chasse encouraged members of the public to continue supporting the airport despite the challenges that have come up due to the change in air carriers.